A gorgeous penthouse in Manhattan’s Greenwich village just dropped its price from $US50 million to $US39.8 million, according to Curbed.com. 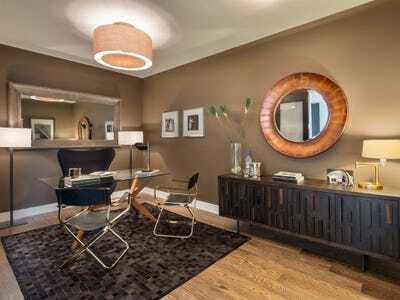 The 7,700 square foot apartment occupies the top 3 floors of a former dress factory. 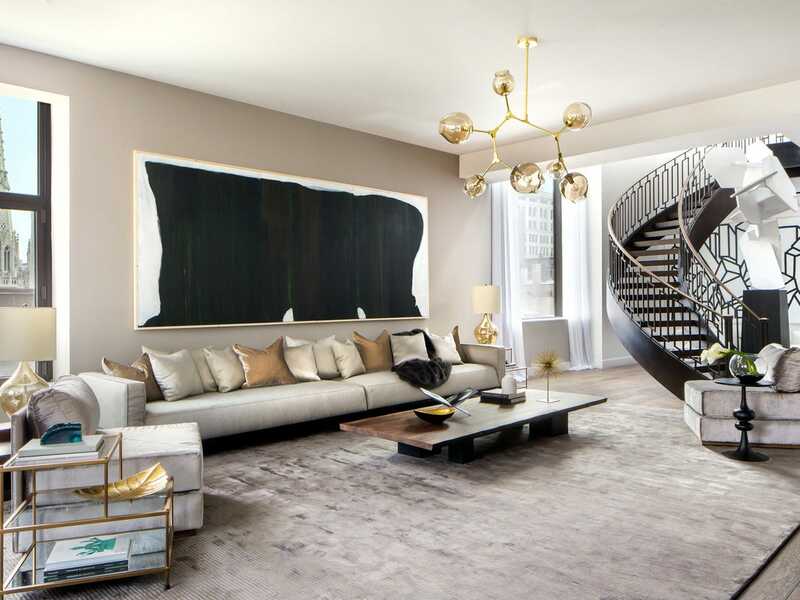 Its four bedrooms and four and a half baths offer a huge amount of livable space for its location in the middle of Lower Manhattan. And celebs like, Deepak Chopra and Leonardo DiCaprio would be your neighbours. The building has been renovated in accordance with Delos Building Wellness’ WELL Building Standard, which Chopra serves on the board of. All six of the apartments in the building include anti-microbial countertops, nightlights that won’t mess with your circadian rhythms, and showers infused with vitamin C to balance the chlorine. Dolly Lenz has the listing. 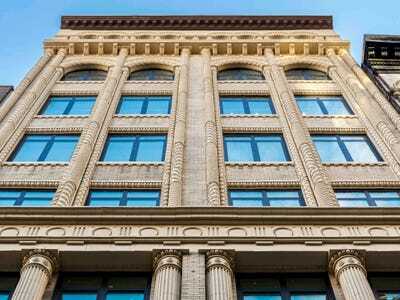 The penthouse is located on the top floors of this gorgeous, newly renovated former dress factory located at 66 E 11th Street. 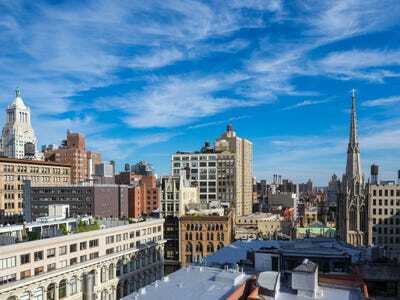 In the heart of Lower Manhattan, the apartment is walking to distance to the East and West villages, SoHo, Meatpacking District, Union Square and Washington Square Park. When you enter the apartment, you are greeted by huge living area on the lowest floor with a gorgeous signature light fixture. The floor boards are specially designed to improve posture, according to Delos Building Wellness' Well Building Standard, which all the apartments in the building abide by. 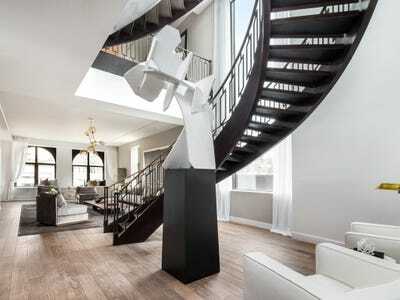 A curved staircase takes you in between the floors. Night time lighting throughout the stairs and the apartment can be set to your sleep schedule, and is designed specifically to not mess with your body's circadian rhythms by Delos. The dining room has plenty of seats for all of your guests. The kitchen is of course updated with the latest in appliances and features a huge oven and an even bigger sink. Anti-microbial countertops are another Delos touch. It even comes with its own juicing station and planters by the window for flowers or fresh herbs. The master bedroom is also very spacious, offering gorgeous views of the city below and generous living space. The bathroom is full of luxurious touches like a huge jacuzzi tub. Vitamin C filters are built into the shower to balance the chlorine in the water supply, according to Delos. A home office is also part of the floor plan. There are three other bedrooms in addition to the master, each with their own theme and luxurious appointments. Practically just as big as the master, these bedrooms also come with their own personal bathrooms and large closets. The building also has a huge roof deck, which the penthouse's owners have exclusive access to. The roof deck also has an all-glass three-season room that can be open or closed based on the time of the year. The roof offers spectacular views of Manhattan, a highlight being the steeple of Grace Church. More into partying than improving your well being? Then indulge in America's most expensive home.